We recently received a message about yet another tree that had been destroyed to the dismay of neighbors. This time it’s at Buena Vista Park (BVP). This is the 5th healthy established tree that has been senselessly butchered by Park & Rec at BVP recently. This tree provided a lovely canopy shade on hot days. The directional pruning done the day before was adequate. It was really horrible to watch one of our most established beautiful shade trees get butchered this morning. There was NEVER a notice put on this tree. It was damaged, according to Ms Sionkowski [Carol Sionkowski, Park Services Manager, SF Recreation and Parks], from splitting done to it by their Rec & Park tree department crew. Further, the canopy pine showed no sign of erosion or splitting from any of its branches. It was a healthy tree that provided much-needed shade for residents traversing the public pathway along BVP. It shaded cars which get so overheated on days like these past few that they are an oven upon entering. It was an established tree of at least a decade old. It was a beautiful circular ball shaped tree that grew laterally with a very solid foundation on the right. Many circular ball-shaped trees when pruned back properly can last for years without eroding from the soil. This one did for over a decade. Why butcher it? Our BVP exterior periphery is becoming an ugly graveyard of stumps where there once were beautiful shade trees. 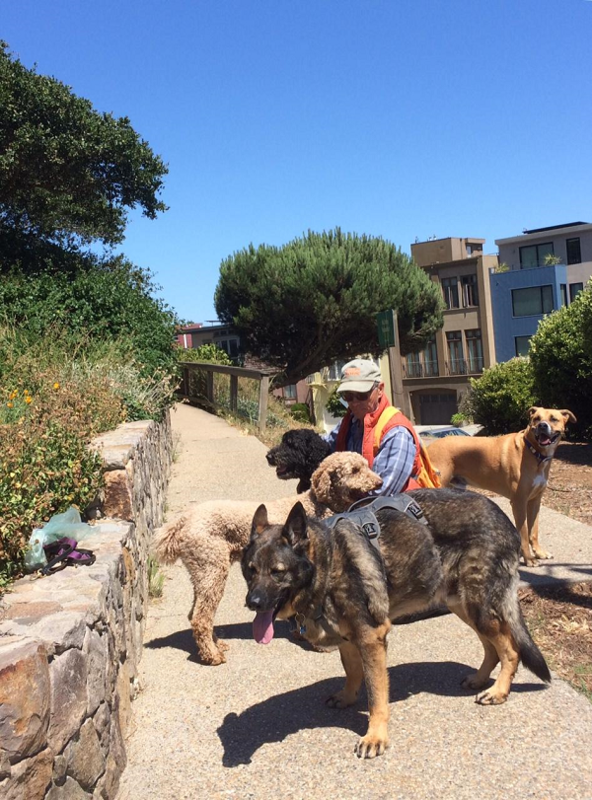 Ms Rodgers was angry and contacted the SF Rec & Park Point Mgr on July 11, 2018, following the destruction of the tree at 8 a.m in the morning at BVP by SF Rec & Park dept. She was unable to stop the tree from being cut down. 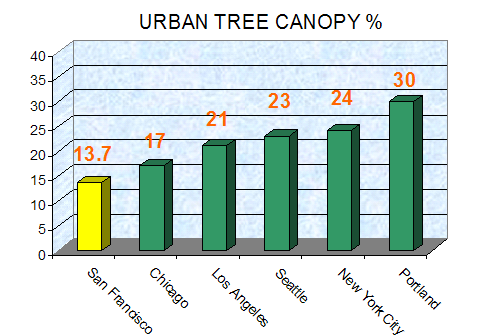 We’ve talked before of San Francisco’s casual, even hostile, attitude to its trees. Little effort is made to preserve mature trees, and our urban tree canopy – already one of the smallest among big cities – is shrinking just at a time when trees are being recognized as a way to fight global warming via carbon sequestration. Planting new trees is excellent, but it’s no substitute for preserving the mature ones. It takes a decade or more for saplings to provide the same benefits, whether carbon sequestration, or pollution reduction, or habitat. 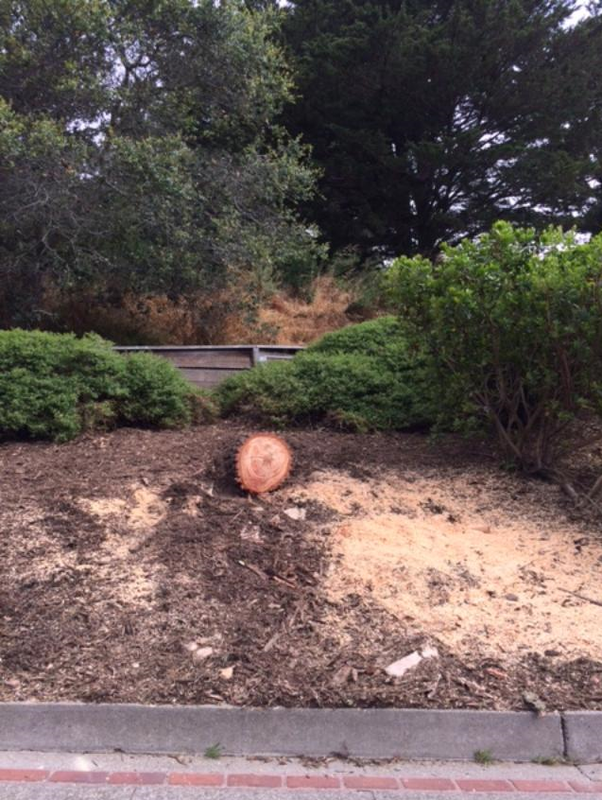 San Francisco must start caring for its trees, not chopping them down.